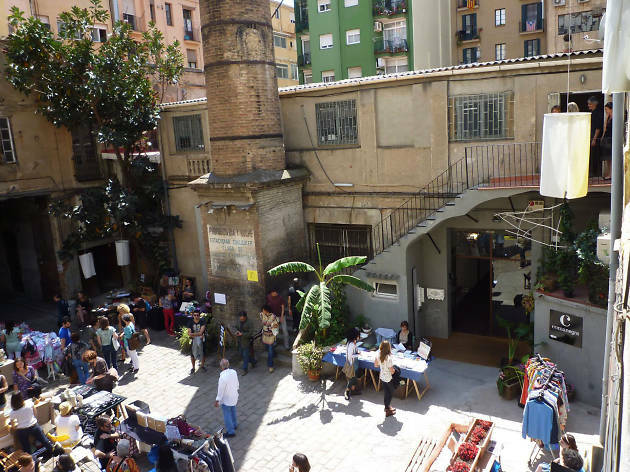 You'll find the Fàbrica Lehmann in a secret corner with plenty of charm in the heart of the Eixample. It's a place many visitors describe as a Berlin-style oasis. The epicentre of the factory is a patio with old cobblestones that has changed little since 1936, and where you'll find a towering 25-metre-high chimney that reveals the industrial past of the space. 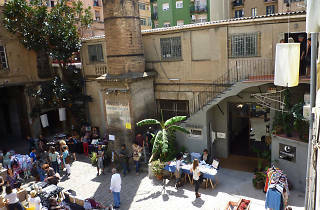 This year, as in past years, the Fàbrica invites you to an Open Day where the 20 creative spaces that live together there show off their interiors – which only happens one other day of the year, during the 48h Open House Barcelona. There will also be workshops, book stalls, display of artisanal products and activities, storytelling, and shows for the little ones.